Kaz is launching Almost Dead, the sequel to Dead Actually. ‘I was totally hooked—it was instant!’ Kaz Delaney: Dead Actually. I too, am writing a Young Adult book and I’d LOVE to learn some winning tips from Kaz. Q. Did you map out Almost Dead while you were writing Dead Actually? … What was the planning process? A. Hi Karen! Thanks you for letting me hang out on your blog today. In answer to your first question, no, they were completely different projects. In fact, when my publishers asked for Macey’s story, I was the one dragging my feet because I was worried that I wouldn’t be able to make her sympathetic enough. Macey’s a wonderful character – she takes no prisoners and she says the things we sometimes wish we could say – but while those traits are those that make us smile, I was worried about her connecting with audiences. It was a lot of work, but I’m so glad now I took up the challenge –she’s one of the strongest characters I’ve ever created. The planning process was the same ad hoc method I always use.  I toss scenarios around and around in my head questioning their plausibility. I badger my writing group buddies and we brainstorm. All I knew at the beginning was I had to really put Macey through the wringer because that would be the only way to reach her core, to find her vulnerabilities. After I have the key story elements I write a synopsis. I suspect the story veered far away from the original synopsis but that’s okay. The first ideas you (collectively speaking) have are usually a springboard – for me anyway. Then as I write myself further into the story, things become apparent that weren’t so obvious before I was so deeply enmeshed. Q. KAZ, Where did you get your characters from? Are they based on people you know? A: Well, for Almost Dead, of course I had Macey from Dead, Actually – who was amazing fun to write in that story. Every person has their own story to tell and Willow and Macey were no different, just as you and I, though sharing certain similarities, have such different stories to tell. Those individual stories are greatly influenced by many things – but especially by the people around us and the experiences we share with them, good and bad. Macey is a product of those people and those experiences, and because she is so strong, there had to be strong people around her. The first step in creating Macey’s world, was to populate it with people who were strong in their own right. Are they based on people I know? No, I’m not consciously aware of basing these people on particular persons I know. I do believe that all characters are born out of a hodge podge of people we either know, have read about, observed or heard about, so there are most certainly traits there I’ve no doubt subconsciously ‘lifted’. Q. How do you make sure the behaviour and dialogue is age appropriate for the characters? A. This is a hard question to answer. After so many books for children and teenagers, it’s kind of second nature. I happen to love teenagers; I always have and my home and life have always been littered with them. I listen to the way they talk, to their passion and their pain. But probably the best research is to read. My TBR pile is always teetering with the latest YA books. I read that genre more than any other, and I think that helps. Q: How did you keep up the suspense and pace in Almost Dead? A: A lot of people have commented (favourably, thank goodness 🙂 on the pacing of Almost Dead.The comment that I have had most often put to me in the past couple of weeks is “I wish I could read faster!” The first person to verbalise that thought was a reader on the younger end of my readership, and I can’t tell you how chuffed I was to hear it. Since then, I’ve had it put to me a few times, along with ‘I couldn’t put it down!’ These are comments I’ve held close to my heart, and yes, they’ve made me, also, think back and examine that pacing to see where they’re coming from. I have to answer honestly and say at the time I wasn’t aware that it had such a cracking pace, but after more careful consideration, my objective response is that the answer lies in ‘story and brevity’. For starters, there is a lot happening in this story: the stalker/mystery storyline, the ghost element, the family upheaval and Finn – the guy she falls for. So, for my own sanity and that of the reader, I had to keep the story moving and keep it as clear and concise as I could so as not to confuse or overburden the reader. Reading a story is supposed to be a relaxing, fun experience. Certainly we like to be challenged, and I hope that happens with the mystery storyline which takes up a big chunk of the plot, but there also has to be a fair playing field. Meaning, of course that the story needs to be easy to read and follow as well. A: Wow – I’m so not a one-word gal. Any of the superlatives that are running around in my head right now will only come across as incredibly conceited. 🙂 Let’s go with ‘satisfying’. Q: What’s your TOP 3 tips for writing a YA novel? 1. Ask yourself if you really like and respect teenagers. If the answer is ‘no’ then find another genre. 2. Read as much YA and as widely within that genre as you can. See what’s out there, see what you’re competing against, familiarise yourself with the types of stories they like to read. 3. Never underestimate your reader. They’re clever, witty and educated. Don’t write down to them. YA readers are the most honest of the bunch – they’ll follow you passionately but they’ll also be the quickest to call you out if they’re not happy. I’m giving away a copy of Kaz Delaney’s book, Almost Dead. Please leave a comment below on WHY you’d like to win. I heard Kaz speak at the Newcastle Writers Festival last year. It was a terrific session on YA writing. The group were so talented and passionate. 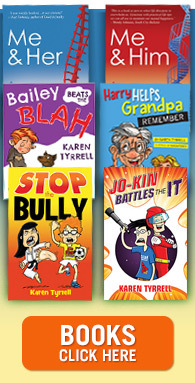 My granddaughter and I have both done workshops with Kaz and we’ve read her fabulous ‘Dead Actually’. I’m so looking forward to reading ‘Almost Dead’. Was so sad to miss the launch recently in Charlestown. Great interview. Thank you for sharing. I’d love to get my hands on a copy. Hi Melissa! Are you a Novocastrian? It was a good session wasn’t it? I can’t wait for the next NWF in March/April. Will you be there again? I’m doing a kids session this time – but please come and say hello. Hi Meryl! We missed you but it was still a great day. I hope you’re feeling better, and big, big hugs for your lovely words and support. Thank you for dropping by. And may I humbly say that I personally think it IS indeed a great read. 😉 And not just for teenagers! It’s a good read for anyone who likes a bit of escapism and a bit of a mystery to solve. Good luck with the draw!!! Great interview. Love your 3 top tips for writing YA. I’d like to win because I have heard so much about this novel on Goodreads from people whose opinions I respect. Thank you Dale! Those tips are important, I think, especially the one about really liking teenagers. I always have – even my own! LOL. I think it’s the most fascinating phase of our lives and brimming with such opportunity. Their whole lives are there just waiting for them to step into the driver’s seat and choose a direction. My heart swells each time I think of that wonderful time. Of course the kids don’t always see it that way and it’s fraught with drama. Which, of course, just makes it more interesting. Thank you for dropping by – I hope to ee you soon on your own blog! Almost Dead sounds like a great book. I’d like to win because Marcy sounds like an interesting character and I would like to know more about her. Love your tips and agree especially with the one about not underestimating your readers. 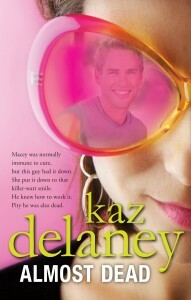 Because I’ve never read a Kaz Delaney book, but after reading Karen’s interview, I’m really intrigued! I love ‘Dead Actually’, the teen voices are spot on! I like the fact that Kaz reads YA, as I don’t think all YA authors do that (and it comes across in their writing if you ask me). The paragraph on the front cover of ‘Almost Dead’ definitely sparks an interest in reading the book. The last line is my favourite. I read a lot of YA, amongst other genres, and both my 11 year old and I sometimes read the same books. However, I think this one would be too old for her (content wise). 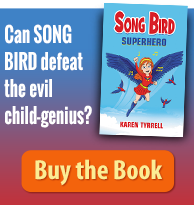 Thanks for the interview Karen and Kaz, it is always interesting to read about the author and where they get their ideas etc from. I picked Almost Dead up at the library a few weeks ago and was excited to be the first to read it. I’ve given it 5 stars on Good Reads. Read my review there. Oh wow – you get caught up for a day and the blog goes wild. LOL. Thank you all you lovely people! And you also rock Ms Cheryse! 🙂 I hope you’re pestering the lovely Bundy man to get some copies of Almost Dead into his shop? Thank you Charmaine! I LOVE that comment! I owe you a thousand emails – and I’ll get there I promise! Hey Steph! Thank you for dropping by. 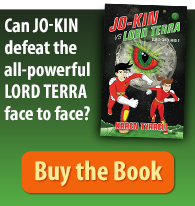 I just love reading YA – there’s something so infinitely fresh about YA fiction. It is my choice to read because I enjoy it – however if you also want to write in this genre, I think you have no choice. You must do it. Thanks for you great comments – and you know, you had me scampering back to the book to remember what the last line was! LOL. Angela! I am sooo grateful for that amazing review. Humbled and thrilled. I tried to share it but was unsuccessful. Thank you from the bottom of my heart. I hope you know I hold you in the highest esteem and therefore coming from you it meant so much more. Those are great tips. Particularly tip one. 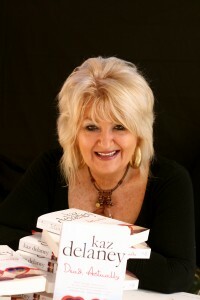 Kaz was a workshop presenter at the 2013 Bundaberg writers Festival, WriteFest, and wowed everyone with her insight into writing YA. Dead, Actually is a fantastic book, and I’m looking forward to reading Almost Dead. It will be great to meet her wonderful characters again. Thanks for dropping by to support Kaz’s new book Almost Dead!